Babies are the cutest of all. They bring happiness and complete our world. Kids are always lively, sportive, noisy, naughty, and full of energy. Kids start learning, experimenting and observing things since their initial stages. It’s parents who should know the tricks to improve their IQ and keep an eye on each and every activity. Toys help in improving children’s intelligence as toys are the core object which accompanies them to keep them engaged. It’s always nice to see kids playing with their toys. Kids start communicating with toys, and gradually they get attached to the toys and they start loving it. Kids wanted toys to be in their world always. Its good keeping kids engaged because when kids start thinking and observing, they start learning and understand things better. It is not just only a playing thing, it helps to mend their brain well. So, before buying toys you have to know what kind of toys are needed to your baby. I have the best collections of toys which can be suggested to kids of all ages. 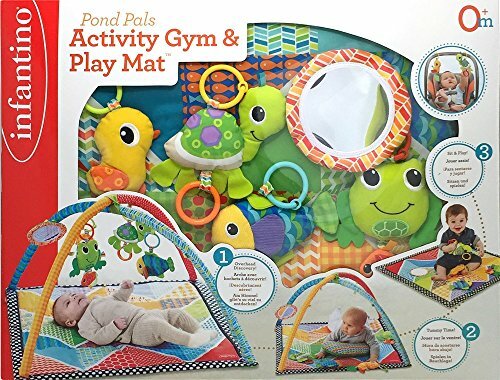 Pond Pals Twist play mat is the playing mats for small kids especially 0 – 6 months babies. It is a foldable and easily cleanable mat which helps small kids to work on neck muscles with a bolster and the toys hanging upon attracts babies which is entertaining and grab baby’s concentration to keep them engaged. This baby toy also helps their parents to work on other stuffs when babies are awake. They can easily rely on such playing toys when they are busy at other works and just keep an eye on their babies. Baby gradually will start moving their hands soon to touch those toys while playing. Such movements on an early stage is a good sign. 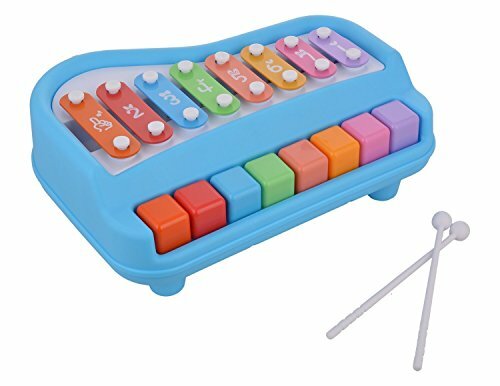 A musical instrument box is a right choice for small kids which would help in sensing different sounds. Parents and siblings can sit with a baby to have a fun time with these instruments. You can observe babies reacting to the sounds through their sights. Observing things are very important to sharpen the brain and more importantly, each and every part of babies are too sensitive to the new world. It is parents duty not to irritate kids by making their environment too noisy. 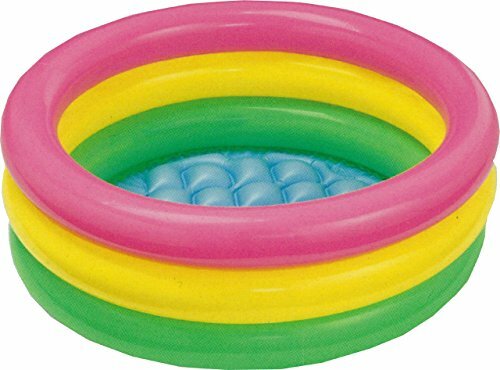 The baby pool is a playing activity for kids in the water. It is a safe inflatable pool for kids to enjoy their time. A pool made of 3 rings for both baby boy and girl is a foldable product with attractive colors. Kids always enjoy being in the water, they get excited when you put them in water. It’s cute to watch babies playing in the water, you can also click photographs of your baby to cherish and treasure such moments. It is a mood activating activity for kids if they are lazing. Balls are suitable for younger and older kids as well. 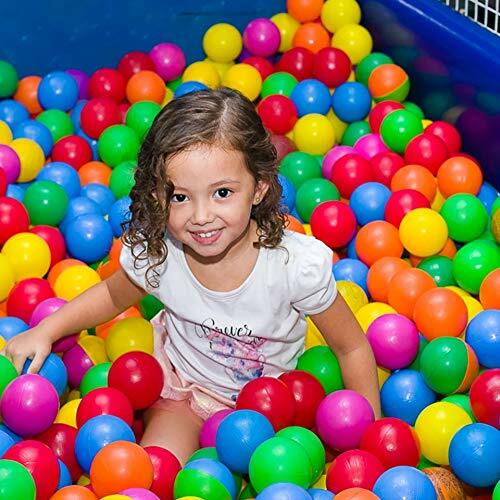 Colorful Balls make kids to run, bend, and burn their energy which in turn helps in producing required energy. Kids stay healthy when they are active physically and mentally. Physical exercise is always there in kids when you have such items to play. Kids of all ages love playing balls and they make everyone to involve. You get different kinds of balls at different sizes, colors in shops and online. If the babies are too young go for softballs to avoid hurting. Also, Don’t go for a very small sized small as there is a chance of kids putting it in their mouth. Physical activity is not only the major requirement, but mental activity is also very much necessary for a kid. When you give them different tasks they show interest. Building blocks toy is meant for the kids aging 2 to 5years. A building block is a fun game where the mind works rather than the body. In this toy, multiple blocks are given and a book with pictures to help kids in assembling different models. These are safe to use as the pieces don’t have sharp edges. And, if your kid sits on building blocks, you do not have to worry of baby getting hurt. You can peacefully finish your household works soon and sit with your baby. 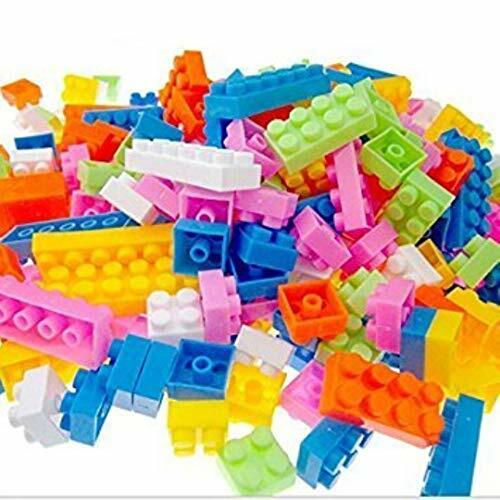 88 PCS building blocks help your kids to learn simple geometric shape, color and construction. 88 Pieces is Approximate number, can be 5 less or 5 more. Size for 12 Hole Block is 4.8 cm, Size for 8 hole block is 3.2 CM, Size for 4 hole block is 1.6 CM. Develop the kids' creativity and imagination, perfect for small hands. 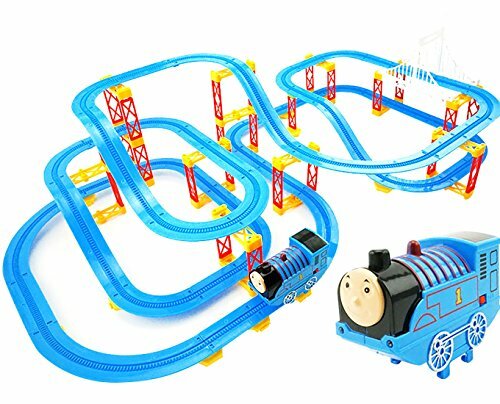 Train track set is a benefiting toy for small babies to keep them in a track. Train tracks seek attention to it. It is all about gripping concentration of an innocent baby. This actually benefits parents, because it features all about grabbing baby’s attention. If the babies are quiet for some time, that is a boon to their parents to rest or complete their works. Such kids controlling toys are very much needed for babies who are naughty and mischievous. You can also create a story on that for fun and make them interesting to sit at one place watching it. As they enter into an imaginary world they start enjoying and you can have control over them. Cars drive us crazy. Cars are a wondering thing if it is a real car or a toy, it becomes favorite even for small babies. Especially baby boys prefer playing with cars as the modern car toys have special attractive features. Go for an unbreakable car toy which doesn’t break even if the kids bang it on the floor. The most common behavior of all babies is they spoil their own things and start crying to get them back in a shape. In such cases, these unbreakable toys wouldn’t shed tears on babies face and this is also longlasting and non-toxic material. Girls are fond of playing with kitchen sets. Small kids learn such activities by observing their mothers, they try following their activities. Instead of taking them into the kitchen which isn’t safe, you can buy them a small kitchen set to build their own imaginary kitchen room. 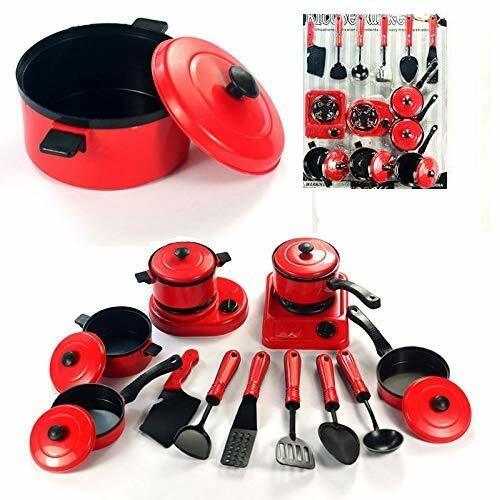 You will get to know their observation level when you give this kitchen set. They even start learning body language and behave as their mother. Watching their activities and their interests is a happiest and also precious memories of life which can be cherished in the future. 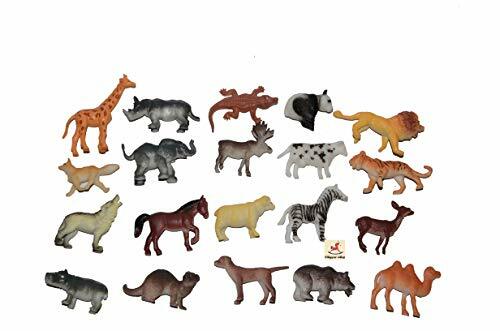 Material: 100% Safe Non Toxic Plastic quality toys. Lightweight & durable body with unique colours. 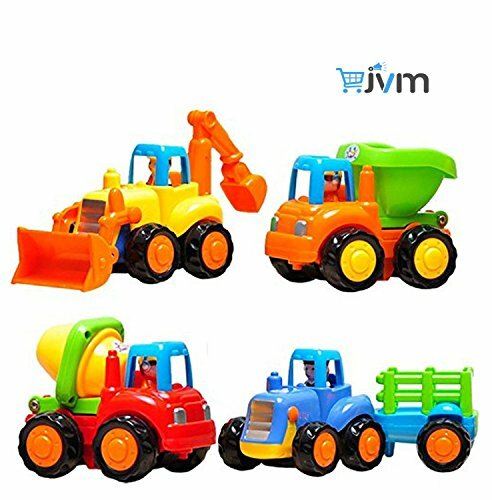 Improves children's practical & Best gift toy for children. Children have lively imagination with kitchen toy set especially for Girls, Boys and Kids. Tent House is a safe playing house for kids. Buy them a play tent house which looks just like a house. Kids will love it for sure as they can sit inside with their other toys and also with their siblings. 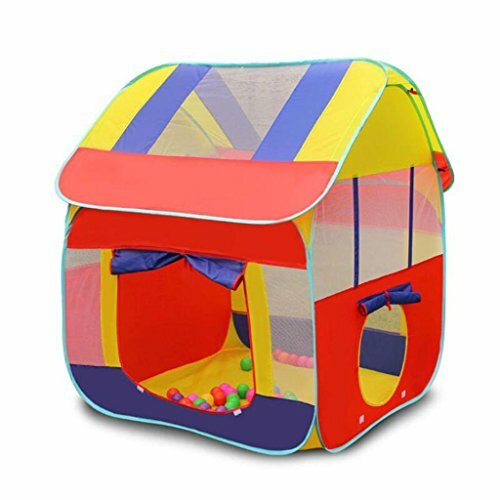 Play tent house toy gives them a home feeling where they can sit and play for a long time. When you cannot take them out to play, such toys would benefit you to create a small play home where your kids are safe. There are sizes and also great at home, garden, parks, daycare and more. Tent house toy is foldable, lightweight and portable. It is convenient to carry anywhere and the kids are safe inside. Kids are learners of each and every aspects. As they grow day by day it is good to introduce them with new things to their world. Homework is important for a child before they step into school. Basic knowledge is necessary to cope up with people and studies. So, you can give them animal toys and teach their names, category, and homes. This is to build their learning skills and understand the different creatures and also differences between humans and animals. This interests them as the pictures look real and easy to recognize. There are types like toys, charts, cards, puzzles, boards to give them a clear picture. 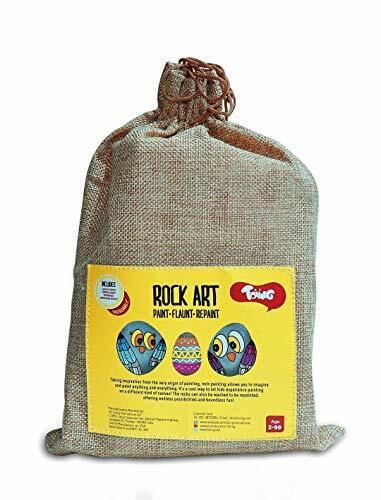 Art is an interesting activity for kids. The different colors of paints is an attractive tool to grab kids attention. Normally, Painting kit includes crayons, oil paints, pencil, and eraser. But, it might vary with different kits. There are varieties which help children to exhibit their talent. Creativity just doesn’t come on its own, one has to try or indulge themselves on new things. Painting is one of the creative art forms which helps kids to learn something creative. This is how the interest grows with them. Outdoor games are also very important for children. The physical activities play a major role in the growth of kids. It is healthy to let kids play outdoor. Cricket is a sportive game and also has a bundle of physical activity. Boys would love playing cricket with their friends and family. Cricket set for all ages are easily available in the market. Children show much interest in outdoor games if they have the required tools for the respective games. Cricket is a complete power pack game to strengthen the physic and quick growth. 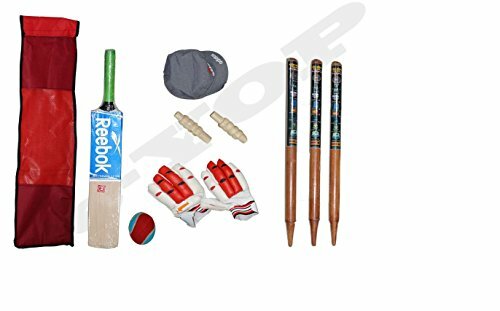 Wicket Height - 69 cm Cricket Kit for Kids.cricket kit,cricket bat,cricket set. A ideal gift for your little budding cricketer. Puzzles are the best way of sharpening the brain. It is an excellent game to improve their creative skill and problem-solving capacity. Kids can have fun for hours with such tools. It is helpful to improve observation skills when there are puzzles. It is a playing and also learning tool for kids in their early stages. 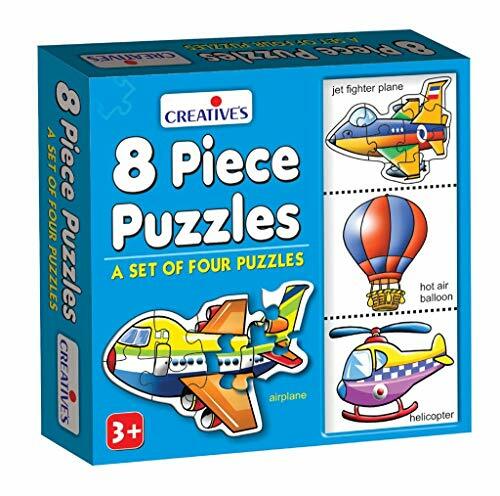 There are varieties of puzzle toys for kids which benefits all the age groups. Kids become quick learners by these educational tools. So, provide such educational toys to your children to improve their IQ power. Puzzles are more fun to play in a group as well. Children do not get bored when they have groups. 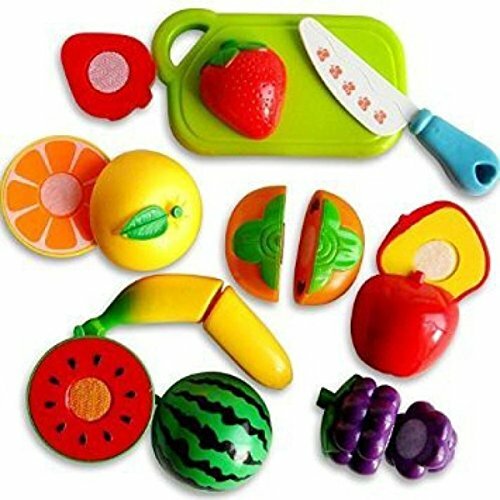 Sliceable fruits and vegetables set toys are educational toys for kids. It has more benefits like, helpful in identifying colors, fruits, and vegetables. When they start learning at home, it becomes easier at school to cope up with teachers and their syllabus. Home is always the first school and parents are the first teachers. When you interest them with educational toys, they start learning along with playing. This is a good and right start to involve in studies. It is helpful for both girl and boy babies. These are some of the beneficial toys for your kids. Toys are plenty, choose a right and educational tool for your children to improve their learning skills. The primary thing is you will have to know when and why the particular toy is given to your child. Kids get attached to the toys soon, they grow up with the toys, make sure they are in safe hands before giving something. There are plenty of options to pick at the right ages of kids. You have varieties online to buy at reasonable prices and you will also have discounts and offers which retail shops wouldn’t have. Sit at home and get the right stuff for your baby. Are they amazon best selling toys or just categorized as best toys for kids? ?